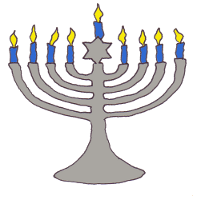 World of Crosswords - happy hanukkah! 12. "...___ down since I began..."
15. Festival of Lights, e.g. 49. "Who'd a thunk it?"